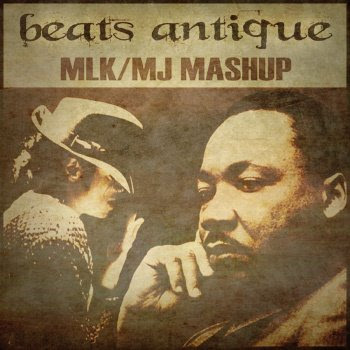 Beats Antique released a free mash-up of Martin Luther King vs. Michael Jackson. You can grab it for free on their website - Beats Antique. I'm not a big fan of MJ and am really disgusted with media craze after his death but somehow I can't escape listening to his music or remixes made as a tribute to the King. Well, saying that still want promote a good track and I really like this mash-up. Typical Beats Antique's track 'orchestration' combined with stompy beats and funky percussion in the background plus well-known voice samples from two famous Afro-Americans create quite a nice little joint. I will definitely play it aloud in my car's SS.